Melt chocolate chips and butter over low heat slowly. Add condensed milk and stir until texture is smooth and satin-like. Pour mixture into a 9x11 pan lined with waxed paper. Let set for a few hours, or better yet, overnight. Cut into squares and enjoy. 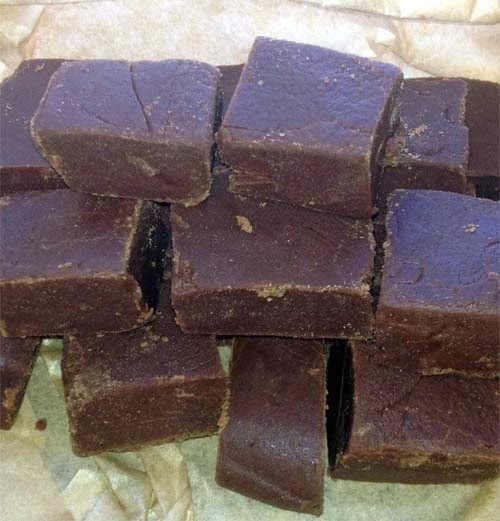 For coffee-flavored fudge, add 3 tablespoons of instant espresso powder into the mix at the beginning. You like tarts? See recipe for a salted dark chocolate tart.